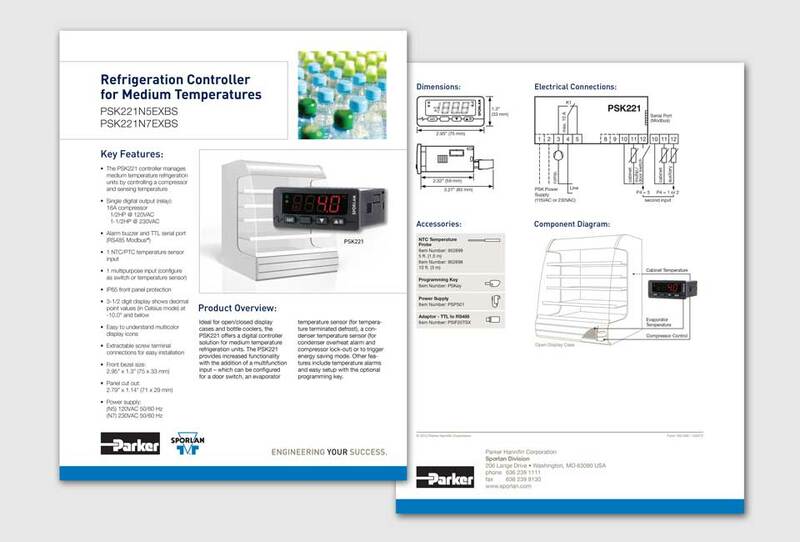 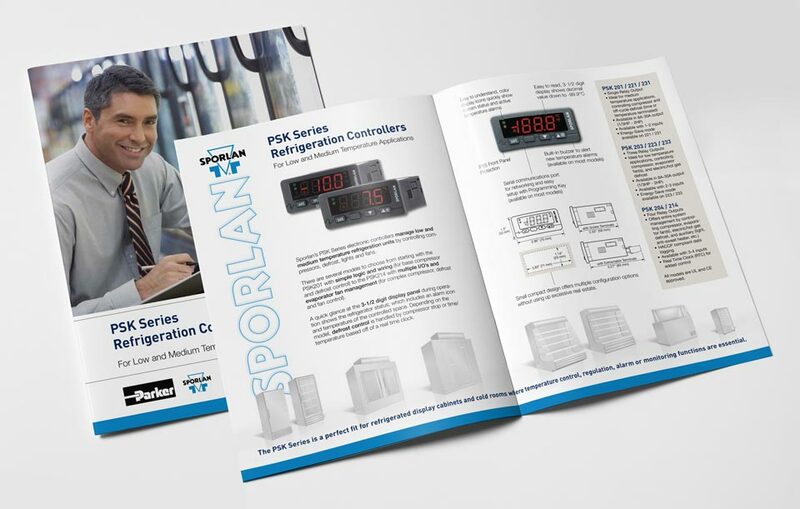 The PSK Series of printed materials required illustrations of refrigerant cases. 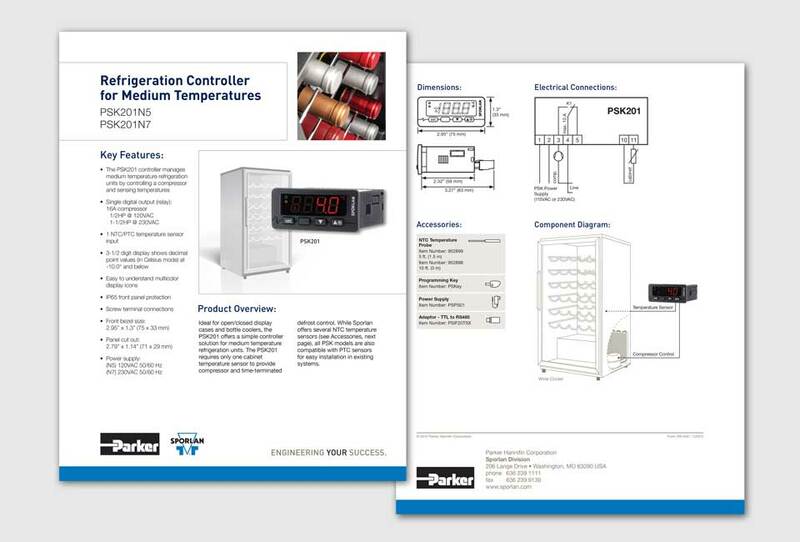 A stock image was found for a basic beverage case and then I had the task of illustrating the remaining refrigerated cases. 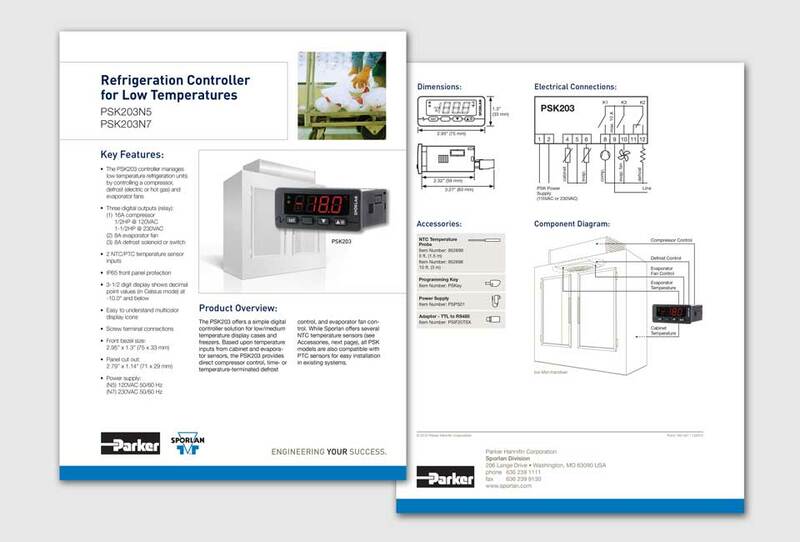 The individual product specification sheets include a component diagram on the back as well.